The independent fundraising group for Miami’s WLRN and the school district that holds the station’s licenses are nearing agreement on the broadcaster’s future governance after two years of deliberating and a sometimes contentious relationship. The board of Miami-Dade County Public Schools plans to hold a workshop Feb. 27 with station managers and Friends of WLRN, the fundraising organization, to discuss four possibilities for the station’s future. The meeting will be open to the public. Sell the station to another currently operating entity. A seven-member task force made up of former journalists and South Florida community leaders conducted the last of four public meetings to discuss these options with the school board Dec. 5. “We’ve reached a point where everybody is working on the same playbook,” said Dwight Hill, board chair of Friends of WLRN. The school board must approve any final decision, which is expected by the end of the year, Hill said. “We are all working toward the same goal — whatever is in the best interest of this station and the community,” said Daisy Gonzalez-Diego, chief communications officer for M-DCPS. The process now underway dates back to 2017, when M-DCPS Superintendent Alberto Carvalho convened the task force. At the time, the school board had come under fire over a leaked draft of a proposed operating agreement with WLRN. The plan would have required 19 WLRN editorial staffers to reapply for their jobs, which would be moved under control of the school district. The staffers worked for South Florida Public Media Co., a nonprofit created by the friends group without knowledge of the school district. The draft also proposed allowing the district to exercise more control over programming and content. The proposal was prompted by conflicts between the school board and the friends group that came to a head in 2017. School district officials were dismayed to learn that a former Friends CFO had deliberately misreported underwriting income to CPB for years. A report by CPB’s Inspector General estimated the infraction had caused the station to receive $1.1 million in excess Community Service Grant funds. WLRN TV Director John Stubbs prepares for a production in a station control room. Carvalho was “outraged” by the overstatements, according to minutes of a March 2017 school board meeting. The station refunded the money to CPB, according to Hill. 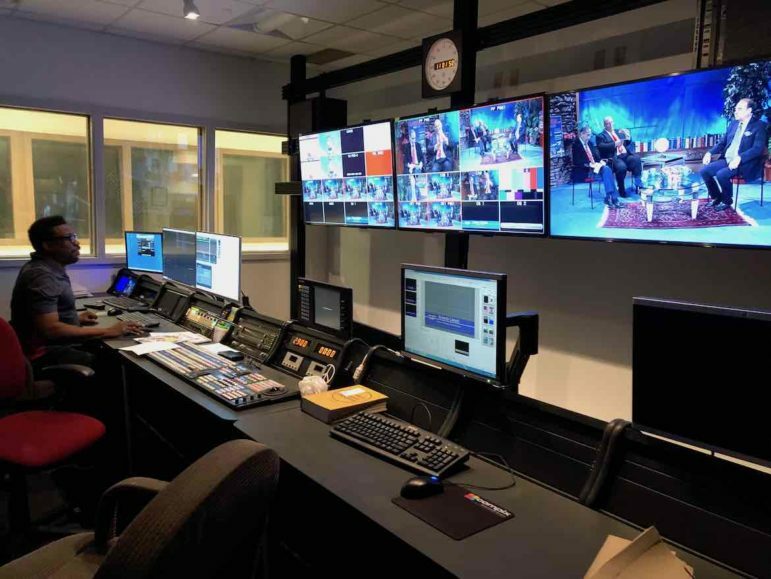 District officials and school board members were also caught off guard when they learned of South Florida Public Media Co., which the friends group created in 2009. According to meeting minutes, the school district didn’t know of the new nonprofit until articles by its new hires began appearing. But the district’s proposal to gain more control sparked a community uproar, with listeners threatening to rescind contributions due to concerns about WLRN’s editorial independence. The district backed away from the proposal and began a more visible discussion about the station’s future. The draft had not been properly vetted at the time of the leak and was intended to be a starting point for negotiations, said Martin Karp, vice chair of the school board and a member of the board of Friends of WLRN and the station’s Community Advisory Board. “Before there was a real opportunity for further discussion, it became more of a media story,” Karp said. Of the options now on the table, Hill said he favors “not the status quo.” He hopes that the station will become independent with help from Friends, which would create a nonprofit to take ownership of the licenses and absorb the Friends group. To buy the licenses, the group would have to hold a capital campaign to make up funding the school district would no longer provide. According to Hill, M-DCPS provides between $2.5 million and $4 million in financial support annually and receives no funds in return. In fiscal year 2017, WLRN received $2.2 million in school district support toward its budget of $6.9 million, according to Gonzalez-Diego. Hill believes the needed funds could come from a combination of a capital campaign, debt financing and endowment funds but that the station would likely need to step up community asks to help make up the difference. Gonzalez-Diego told Current that “it would not be prudent” for the school board to comment on its desired outcome before February’s workshop and that no sale price for WLRN’s licenses has been discussed. Carvalho said at the meeting last month that board members want to retain WLRN’s licenses, according to the Miami Herald. An external report commissioned by the school district also recommended that the district retain the licenses, while also strengthening WLRN’s editorial firewall. The report by law firm GrayRobinson, which was completed in January 2018, also advocated for giving WLRN’s Community Advisory Board more influence over the station’s budget, programming and other areas. The report further asserted that WLRN’s current structure violates union rules by preventing South Florida Public Media Co. employees from joining a public employees’ union that station employees paid by the school district belong to. LaBonia, who reports to the school district’s Gonzalez-Diego, declined Current’s request for comment for this article. Though the outcome is still unclear, all involved in the process express optimism. 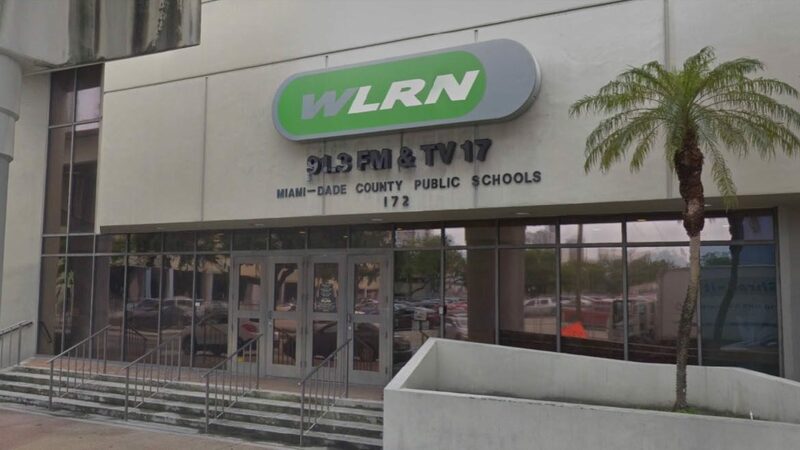 One outcome discussed at a meeting Wednesday would maintain the Miami-Dade school district’s ownership of WLRN, while the other looks toward independence.